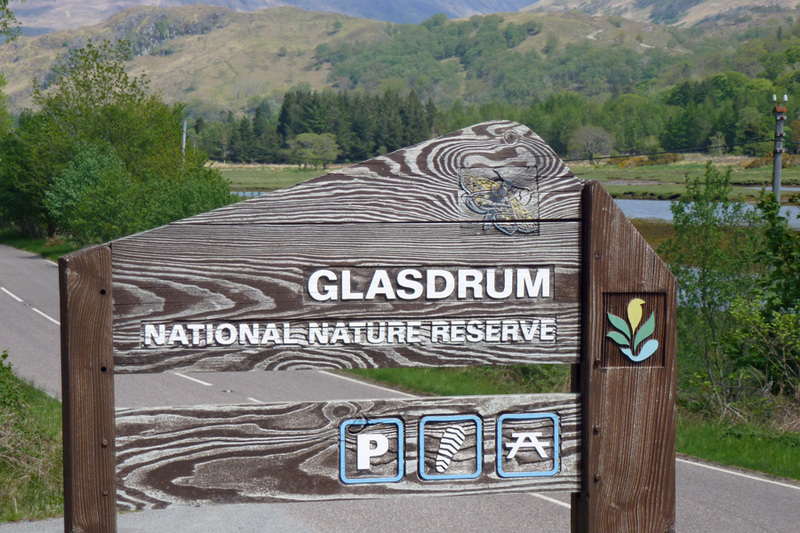 Glasdrum Wood is a remnant of the Atlantic oak woodland cloaking the lower slopes of Beinn Churalain (south-east) that rises from the shores of Loch Creran. 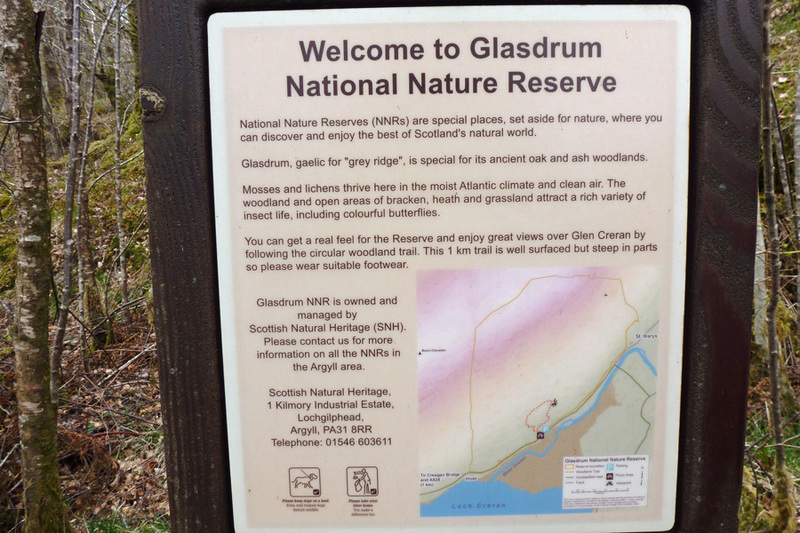 The reserve covers an area of 169 hectares and is part of the Glen Creran Wood, a Site of Special Scientific Interest (SSSI), a Special Area of Conservation (SAC) and a European site of international importance. 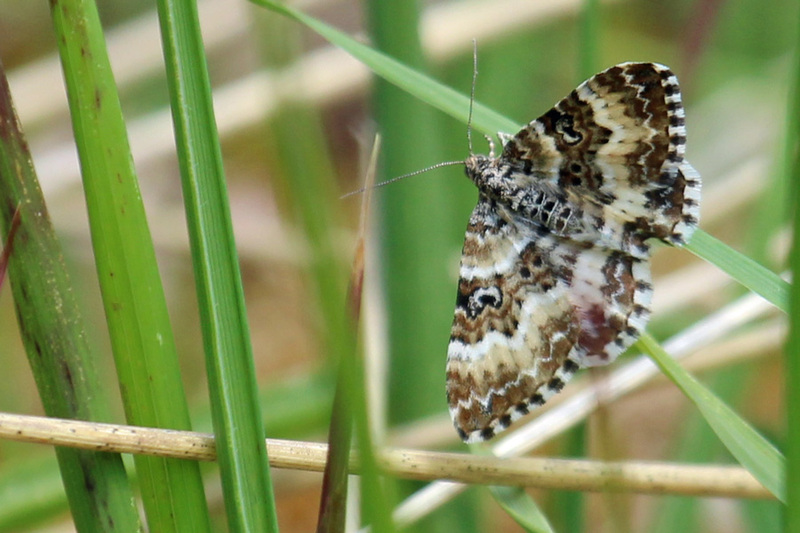 The woods are of national importance for its lichen and bryophyte assemblages and for its populations of chequered skipper and pearl-bordered fritillary butterflies. 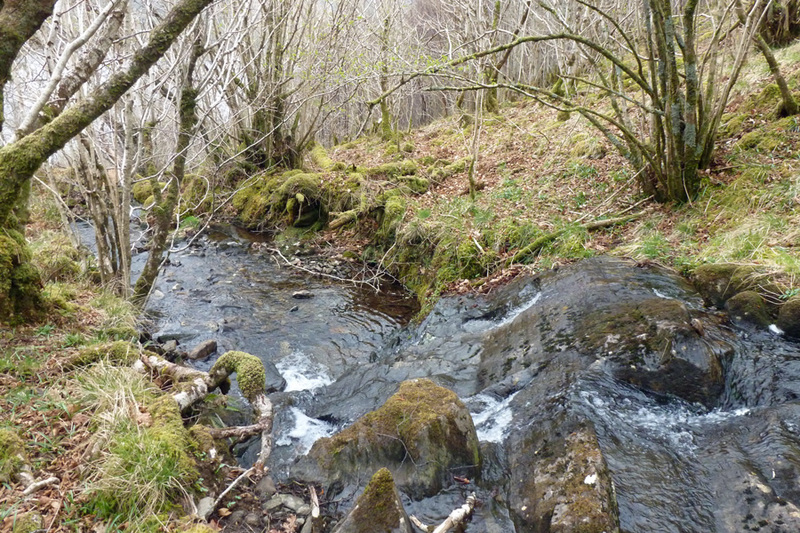 The lower slopes support scattered Tilio-Acerion woods consisting of ash (Fraxinus excelsior), wych elm (Ulmus glabra) and hazel (Corylus avellana) on calcareous soils, mainly associated with the rocky slopes and ravines. Sessile oak (Quercus petraea), with holly (Ilex aquifolium) and rowan (Sorbus aucuparia) dominate the more acidic middle slopes, with an understorey of woodland flowers and hard fern (Blechnum spicant). 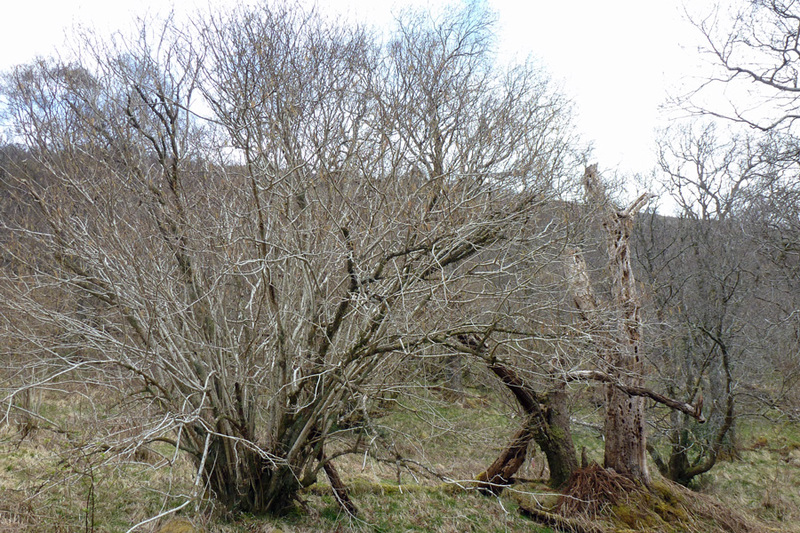 Birch (Betula pendula) woodland is found on the upper slopes. 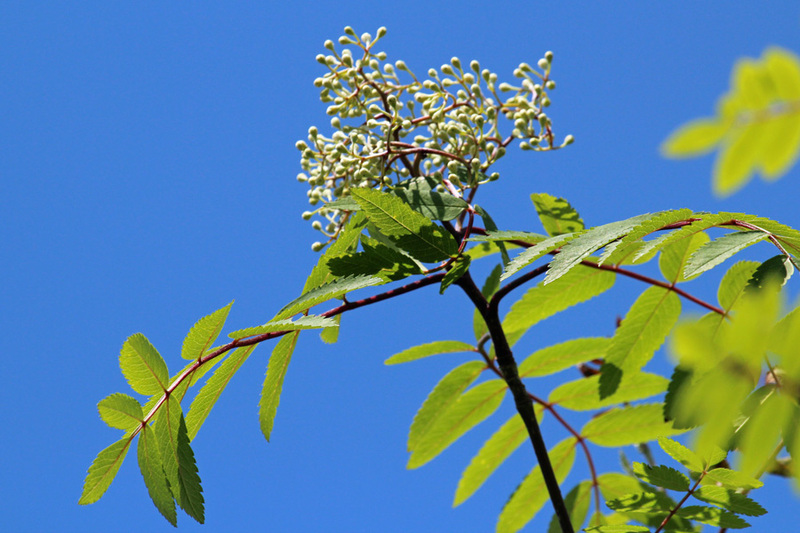 Alder (Alnus glutinosa) occurs throughout in the wetter areas. 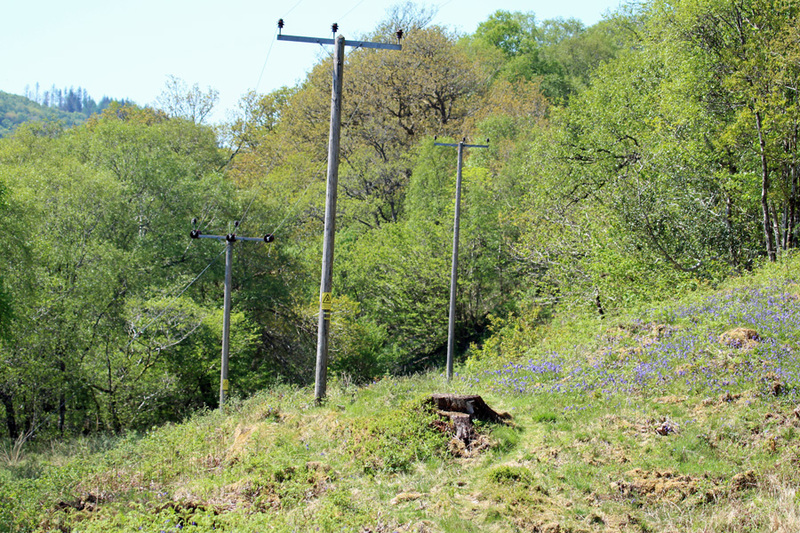 Above 300m, the woodland is replaced by mire and heath. The bedrock geology is mainly metamorphic, consisting of slates and phylittes. There is also some sedimentary limestone and igneous intrusions on site. The reserve supports an exceptionally rich bryophyte, lichen and fern flora characteristic of the Atlantic west coast of Scotland. 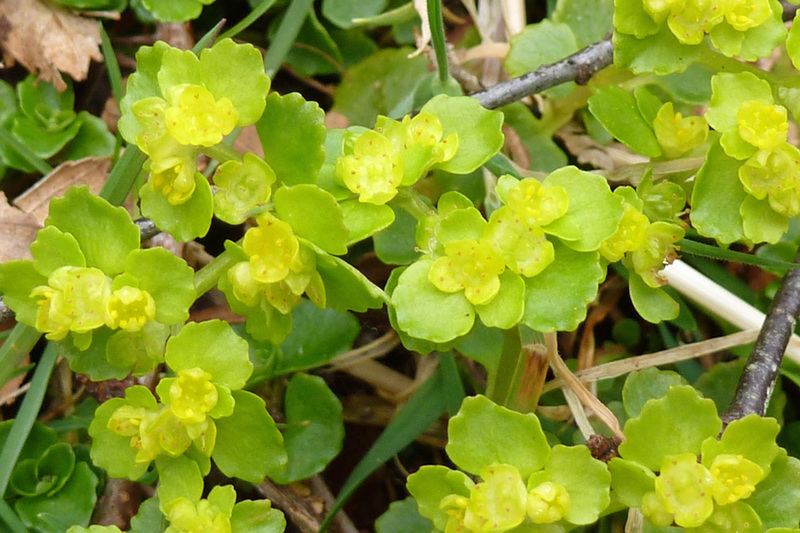 The site is of internationally importance for its lichen flora. 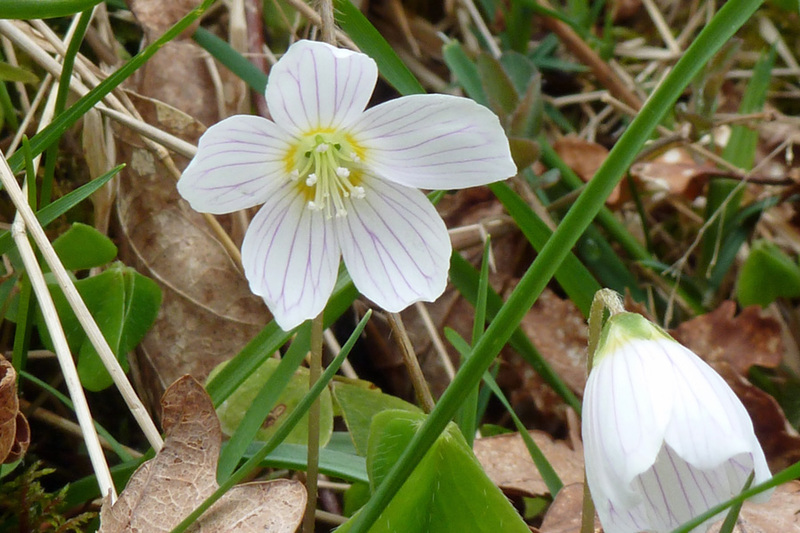 Glen Creran Wood supports four globally vulnerable species and 19 globally near-threatened species, 10 nationally rare species and 66 nationally scarce species, including the UK BAP priority species, the Norwegian specklebelly (Pseudocyphellaria norvegica). 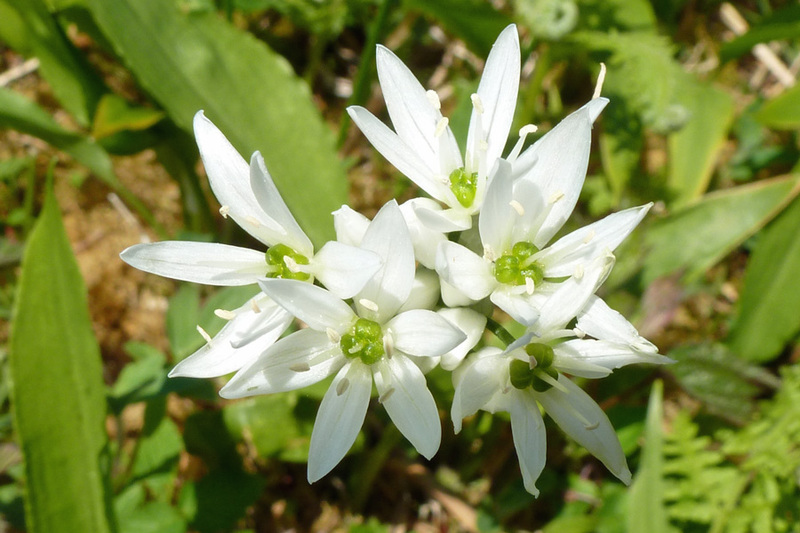 In addition, 219 species of mosses and liverworts have been recorded in Glen Creran Woods, including 10 nationally scarce species and 37 western oceanic species. 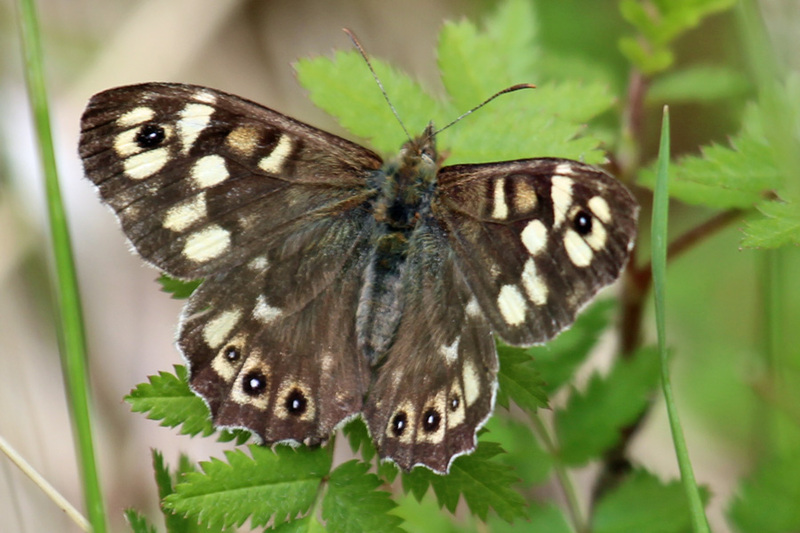 The reserve is also an important site for invertebrate conservation. 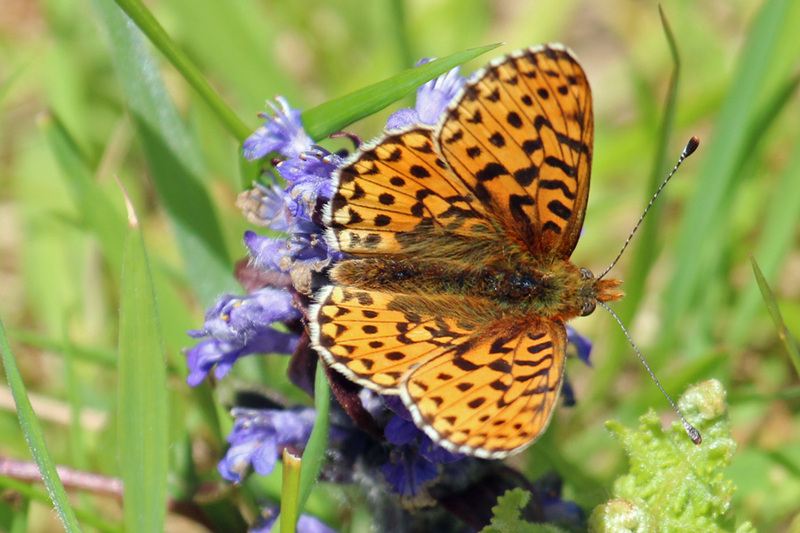 It supports 21 butterfly species including two UK BAP priority species, the pearl bordered fritillary and the chequered skipper, the latter restricted to Lochaber and North Argyll. 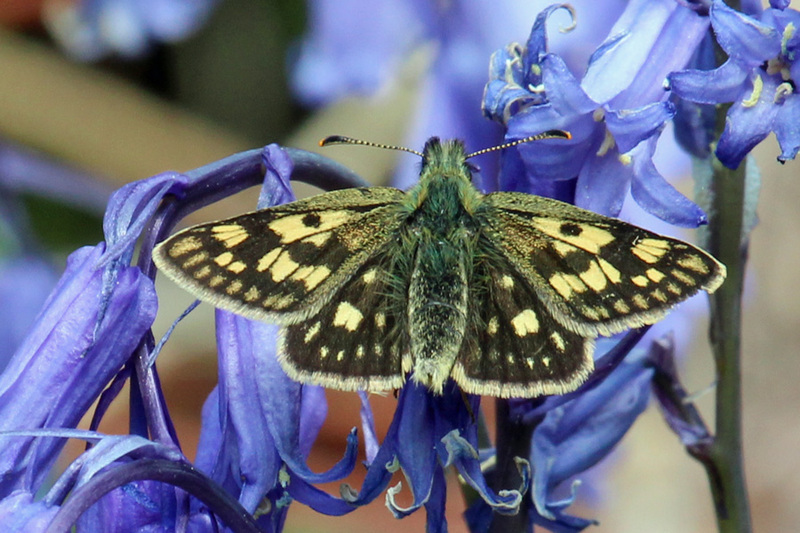 The nationally scarce mountain ringlet has also been recorded, as well as marsh fritillary. The wood has been managed for charcoal production in the past, as evidenced by charcoal platforms. Other structures in the woods include a limekiln, sheepfolds and shielings from 18th and 19th century. 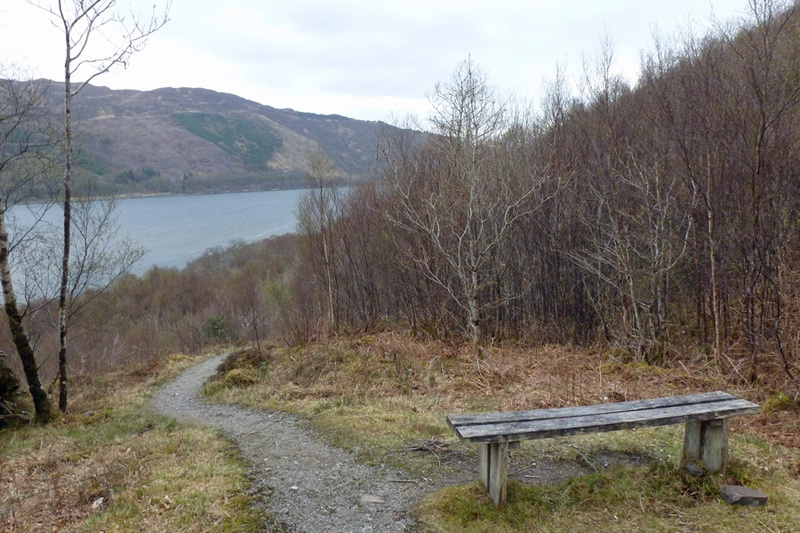 The nature reserve is accessed at the northeast end of Loch Creran. 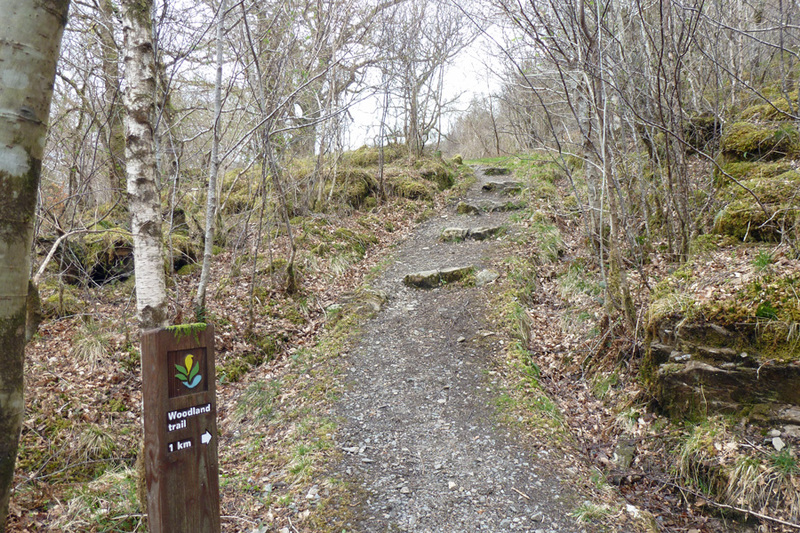 There is a short nature trail through the woodland and a picnic site. The walk is supported by an information leaflet and benches. 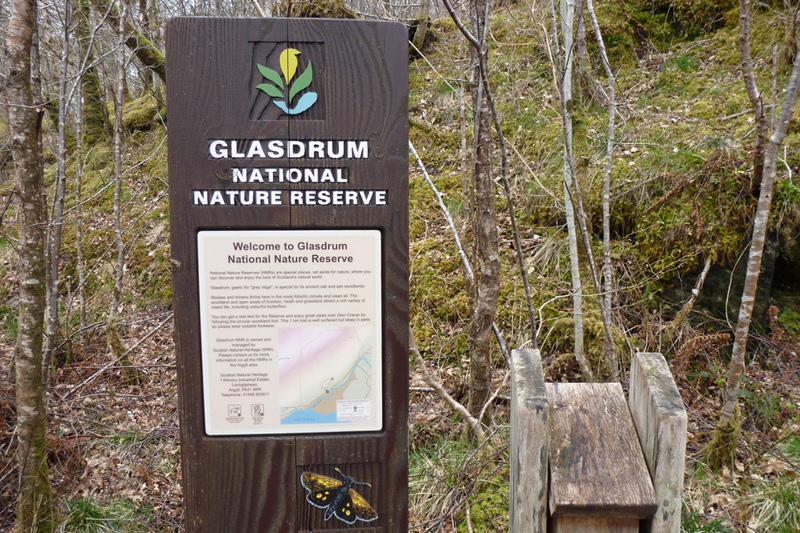 A great place to visit for butterflies and other wildlife.